Can you identify the three butterfies? I think the blue one is a fruitillary something or other – but I haven’t looked it up yet. 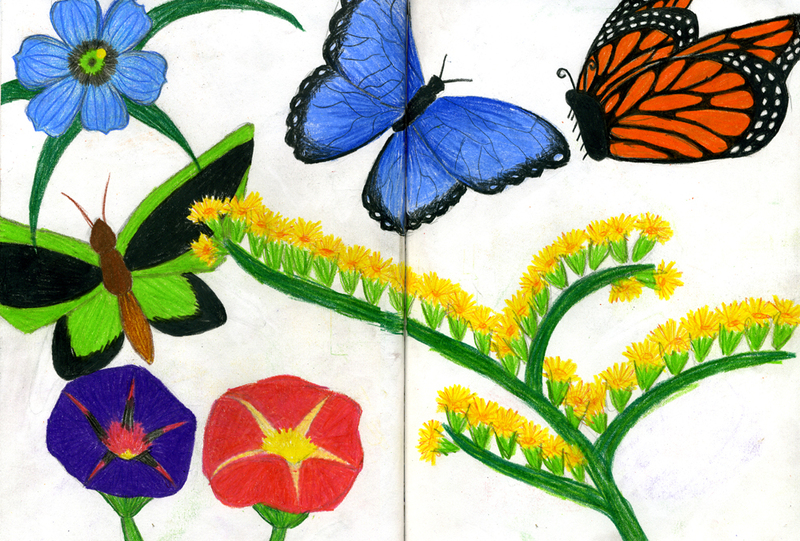 And the one in the upper right is either a Monarch or the one that mimics the Monarch. I have no idea what that green one is. This is all just off the top of my head.